Use a one-liner in your headline to summarize and convey the real pain killer or disrupter that your business offers as it relates to the market that you’re after. Something really simple, like I help people sell their house 10 times faster using the most cutting edge virtual reality technology. With a simple and to the point statement like that it’s really easy for a potential customer to qualify if they’re a fit. Use the summary in your LinkedIn profile to convey detailed information about who you work with, the types of people that your business helps and the key benefits that you bring to your customers. Then, leverage your project section to link out to key pages on your website or key landing pages to drive opt-ins. This is where you link out to your lead generation forms, ebooks and lead magnets in order to generate leads from people that view your profile. 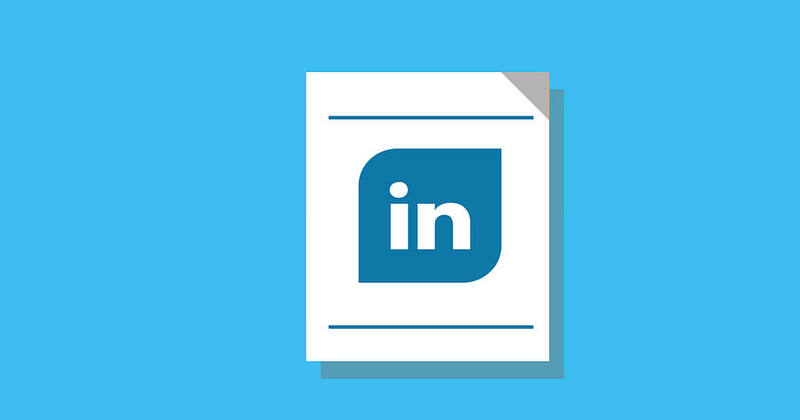 LinkedIn Pulse is great because it notifies every single person you’re connected to, every single time you post something on LinkedIn’s Pulse Publishing Network. Leverage it as an authority building opportunity to drive home valuable information and provide a really clear call to action to generate leads as well as traffic. Try not to post to often or you’ll begin to annoy people. Once to twice a week is perfect. Leverage viewing and automated viewing of your target customers through LinkedIn search to drive traffic back to your own profile. You can use a tool like Autopilot for LinkedIn for this, which makes it really easy. Make sure you’re only targeting the most relevant people using LinkedIn advanced search so that the only people coming back to view your profile are already qualified to be a customer and be a lead. Use your Linkedin profile as a sales funnel. You viewing people is like the outbound sales process. People viewing you back are those expressing interest in what you had to offer in the outbound sales process. Connecting with those who view you back to establish if they’re qualified and actually interested in talking. Connect with people who view you back from your LinkedIn viewing to establish if they’re qualified and actually have interest in talking to you about what your company offers. Use LinkedIn’s first connection free messages (InMails) in order to get in touch with those people who you do connect with, and take the networking approach, a very passive approach. I’d love to learn more about your company. Do you have 5 – 10 minutes for a quick chat? Keep track of this outbound and inbound messaging just like a lead generation campaign to ensure you’re getting the maximum value and make sure you’re connecting with the maximum amount of people that you can. There’s many LinkedIn groups that have tens of thousands if not hundreds of thousands of people and they’re a great way to get out there with some information and just provide value. If you just go to LinkedIn group and just start answering questions, you’re going to start building authority in that group. When you start building authority in that group, you’re going to start connecting with people who are in your target market in that group who you can then bring into this process and then convert them into a lead. It’s a really simply process. It’s all just about delivering value. We have a business <BusinessName> that helps people in the <TargetMarket> industry do <WhatYouHelpThemWith>. You have some of these folks in your group and I’d like to see if you’d be interested in a joint venture. We’ll provide really awesome free content to your members tied to a paid offer of our <Product/Service>. The revenue that comes out of those sells will be split <YourRevenueSplit>. The only thing you’ll have to do is copy and paste 3 or 4 messages to send to your Linkedin group. That’s it! What you want you do here is take on all the work for them. Write emails, write everything that they need to do, and let them only have to copy and paste in order to get access to their network of people. It’s a really profitable way to go out there and tap into other people’s networks and other people’s lists. Having your own LinkedIn group with people in it and having it active is a really big authority boost. It’s a really easy way to get in front of hundreds or thousands or even tens of thousands of people who all look at you as an authority instantly. It’s really easy to start a LinkedIn group and it’s really easy to grow it relatively rapidly. You just have to go out there and as you connect with people in your network or people that are your target market, you invite them into your group. Most people are really willing to join as long as you’re not filling your group with spam and messages that are irrelevant. 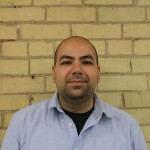 Jamil started out in marketing, running campaigns for an agency and then transitioning into the world of startups and SaaS businesses. Jamil has lead growth teams at a number of startups across the globe and advised many others, helping them with their growth strategy. Since then he's become an entrepreneur that uncovers hidden pains for employees, founders and small to enterprise businesses to solve problems and alleviate their pain. Jamil also specializes in providing businesses with highly effective, automated sales funnels that increase conversions, optimize revenue and take their business to the next level. Jamil Velji © All rights reserved.